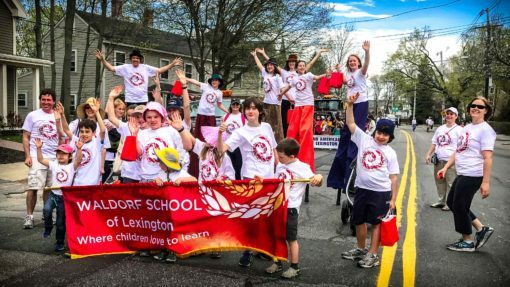 Order a parade banner online by choosing the options below. NOTE: Before placing an order online, your artwork should be properly formatted and ready for print. 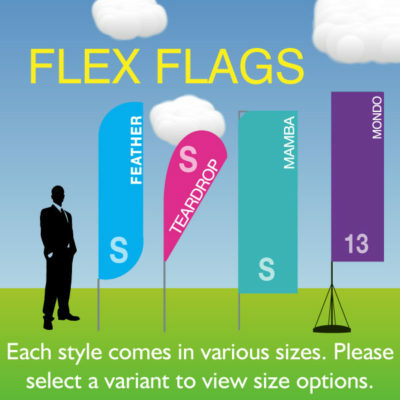 See our File Guide if you have questions regarding the artwork specifications for this product. If you need assistance with your art design, please call us at 313-758-6737. Price includes square cut bottom. For decorative cut bottoms add $90.00. Specify Style A, B or C.
Upload your print-ready artwork here, or by forwarding your order receipt with the attached artwork file to nicole@bannersignco.com. Please see our ARTWORK FAQ for upload suggestions and accepted formats. This will ensure the greatest quality prints. 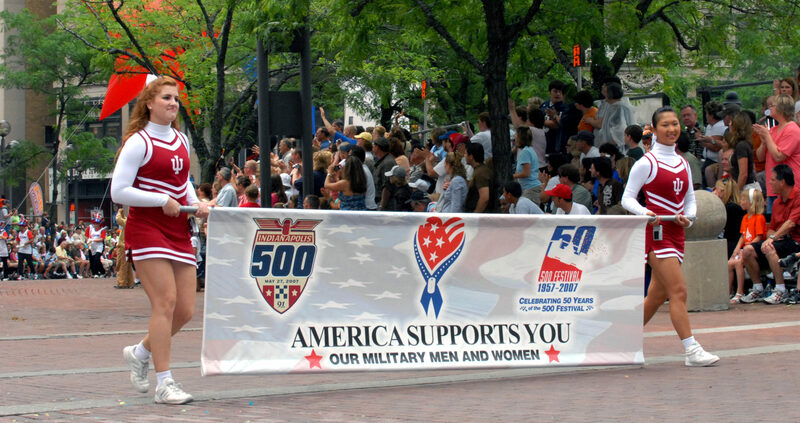 Our standard parade banners are fabricated using double layer construction. 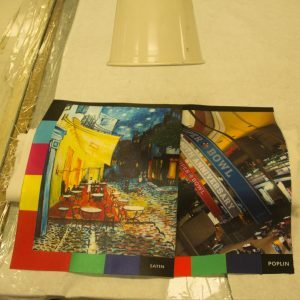 The front layer is digitally printed in full color over Poplin*, then sewn to a white backer. 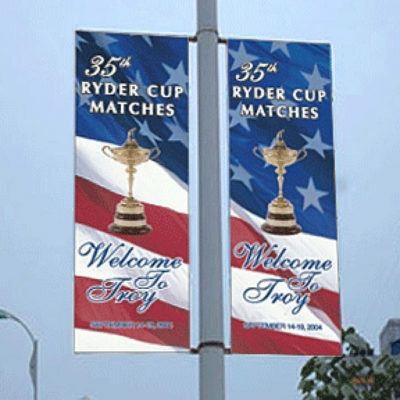 The backer adds opacity which greatly enhances color saturation while adding weight, enabling the banner to hang taut in windy conditions without use of a bottom banner pole. The banners are finished with an 3″ open pocket across the top, GOLD decorative fringe across the bottom, and GOLD Cord & tassel sets for the ends. Standard fringe, cord & tassel are available in Gold, though other colors are available in the below colors at additional $40. 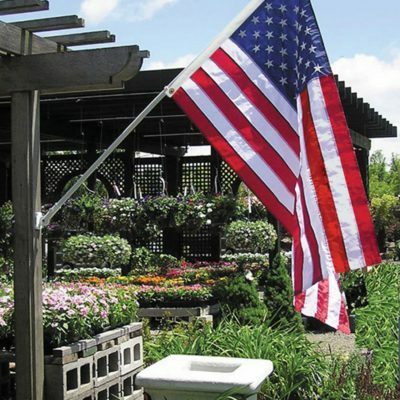 Banner poles are fabricated from lightweight aluminum joined in the middle for larger sizes, detailed with decorative acorns at the ends, and are available in polished silver or gold. 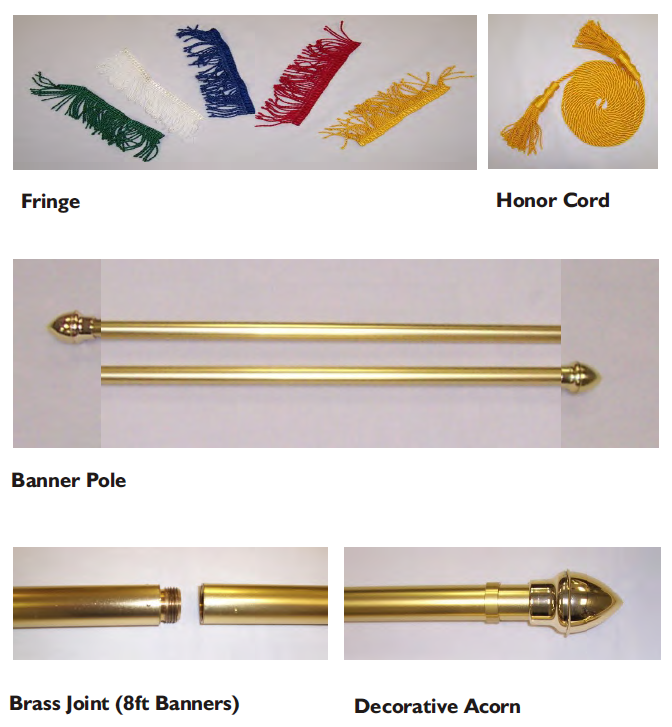 Standard Banner poles are polished gold, polished silver is available by special order.The overall length of your banner pole will be greater than your banner width, allowing 2″ for the decorative acorn plus 6″ for your hand position. 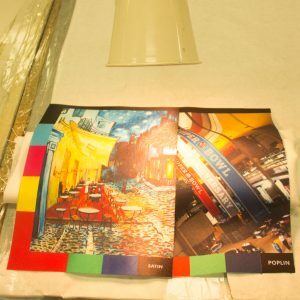 Satin: Transfer Print Media – Size 60” before paneling. Satin is ideally suited for use as banners and table runners. Most noted for its shimmering and light reflective appearance. The material takes a regal sense when printed in jewel tones such as purple and deep red. The material is also ideally suited for metallic simulations including true gold and silver. Extra care in the handling of this material is necessary, as it does not lend well to wrinkling or creases. As such, satin is not recommended for larger scale images like backdrops that require continued folding for transport. For best results, keep satin banners to a width of 52” and always store them rolled on a tube. Excellent color gamut with minimal image showing through. Durability: Permanent Interior and temporary exterior (due to fading). Poplin is by far our most popular material and is noted for its wrinkle resistance making it an excellent choice for large scale backdrops, retractable banners and table covers that need to be folded for storage and transport. The material is dead flat in appearance which makes it desirable for use in video productions such as live interviews and photographic press releases. As a traveling display, Poplin enables users to priority ship at an affordable cost. Poplin is a somewhat pliable material that conforms well to contoured surfaces including stretch frames, office partitions, and the human body when converted into a garment. Excellent color gamut with minimal image show thru. Uses: Backdrops, table throws, banners, fabric forms.